Google wants you to have/get “natural backlinks”. But there’s a loophole to this. There doesn’t exist any definite parameters that differentiate the unnatural backlinks from the natural ones. And this loophole can easily be manipulated to increase organic traffic of your website. HOWEVER, you’ve got to be smart with your approach. Earlier, people would deploy this technique rather bluntly. The narration was simple—you link me, I will link you back! The search engines didn’t have proper measures to counter such black hat SEO techniques back in the days. So, reciprocal linking was very popular. Reciprocal Linking: An arrangement or agreement between two webmasters to link back to each other’s websites for mutual SEO benefit. But that is not necessarily the case today. Google and Bing are more vigilant than ever to maintain high-quality in their search results. So, indeed, black hat SEO techniques have become extremely risky to pull. Your website may get penalized by the search engines. But then this doesn’t mean you cannot try. It’s doable!! 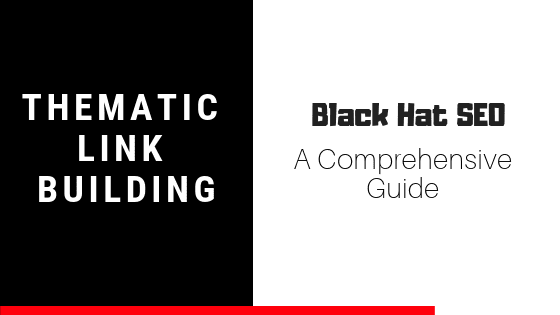 About 9 months back I tried one of the black hat SEO techniques: Thematic Link Exchange. Tracking the result for the next six months, the websites that were included in the experiment had their organic website traffic increased between 70 and 118 percent. My (or my client’s) website saw a jump in organic page views by 88.8 percent over the course of 5 months. And it’s still growing. I’ll explain all in details. But let’s take a lot at the basics. What is Thematic Link Exchange? Thematic link building or exchange is much like reciprocal linking—but has a slightly refined approach. 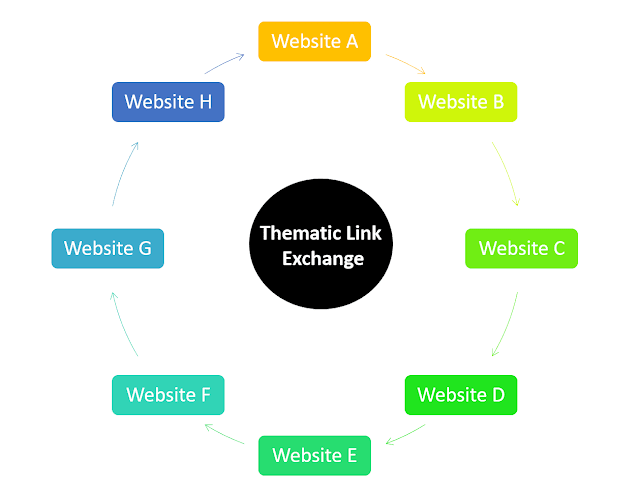 Reciprocal linking is when you ask any and every website you can contact to exchange backlinks. But thematic link building is when you contact only those websites whose topic/niche matches yours. Hence, the use of word “thematic”—because you maintain a similar theme among websites that are involved in the process. So, if you have a fitness-related website, you connect with those with fitness websites. If you have a cooking website, you contact website owners who are in the same niche. What we did was a bit more different than the traditional definition of thematic link exchange. The general idea JoeBob tosses here is that instead of direct links-exchange between 2 websites, a group of websites get together and create a circle of backlinks. The arrangement is as such that a website doesn’t get a backlink from the same website that it has linked to. NO RECIPROCALS. Given the fact that this was posted almost a decade and half back, I wasn’t very sure how it would pan out. Besides, I didn’t read much about this refined thematic link building anywhere else. The biggest problem of reciprocal backlink has always been quid pro quo. There’s a direct link between two websites. Depending on the quality of those websites (DA, PA) and in what context a website is backlinked, the arrangement usually raise red flag. And the search engines could spot this black hat tactic even from far. But with thematic link building, the backlinks look much more natural. Since no direct exchange, it’s usually difficult for search engines to spot any foul. And if the trail is long – meaning, if more websites are involved in this chain – assumingly, it would be almost impossible to identify any foul play. On this assumptive premise, I went ahead with this black hat SEO technique. Almost 11 months back (in December ’17), I started working on a client’s project. 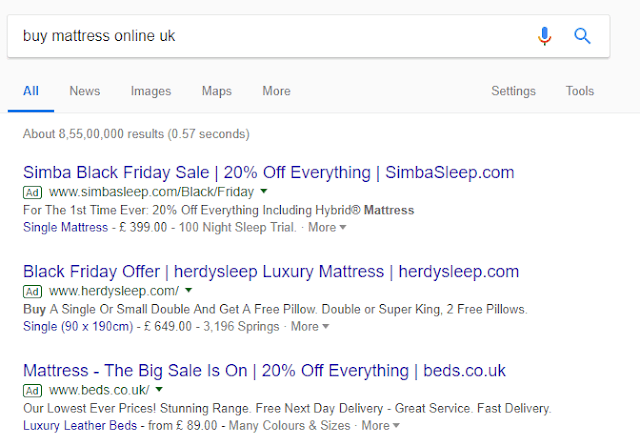 They primarily sell mattresses online across the UK, with a brick-mortar store based out of Leicester. I was supposed to be handling the content and SEO-end of them. Since they created their website only a couple of years back, their digital existence was for the name-shake really. So, I started with the basics…. Fixing the Meta tags, permalinks, researching keywords, re-writing the webpage contents, creating Google my Business page, and some other regular stuff. I also outsourced a freelance web developer to make few fixes at the backend. The website was slow. BUT to take things to the next level, I needed more backlinks. While I had guest blogging in my content strategy, I wanted something much easier and more rewarding. So, in February, I decided to try thematic link building. After doing some research, I emailed 56 niche websites who were selling mattresses, furniture, curtains, and sheets. Only 15 responded positively, and 13 participated. We exchanged emails, figured things out, and decided to complete this experiment in the next 50 days. By the end of April, everything was said and done. As you can see, there’s a big jump in trend between May and June. The client’s website started ranking higher for a solid number of targeted keywords. Organic traffic increased. But one of the best things, to much of my surprise, was that the traffic we were getting was highly targeted. Conversion still remains around 8.19 percent, which is very (very) good for our niche. This might look tedious, but it isn’t. You just have to find a list of websites who you think are the ideal fit for the experiment. And then send a template-like email to all. As is evident in my case, many will – rightly so – not care about responding. First step: finding the interested webmasters. But even before that, find out the Domain Authority of your domain name; you want to select websites which trade better than you. There are many tools out there. SEO Weather is a good one. It allows bulk scanning. So, once you have the list of websites who will be involved in the process, throw that chunk of URLs in this tool and see their DA. Keep the better ones, eliminate the bad ones. Now, coming to the “finding” part—it’s all about the phrases you Google. On the first (or first few) page, you will see “top” websites. They are unlikely to get involved in this experiment. Don’t waste time on them. Dig deeper. And look beyond the 5th, 6th and so on pages. NEXT, to find more websites – websites that are more likely to be a part of your thematic link building strategy – you can look at the existing backlinks of the websites you found above on Google. 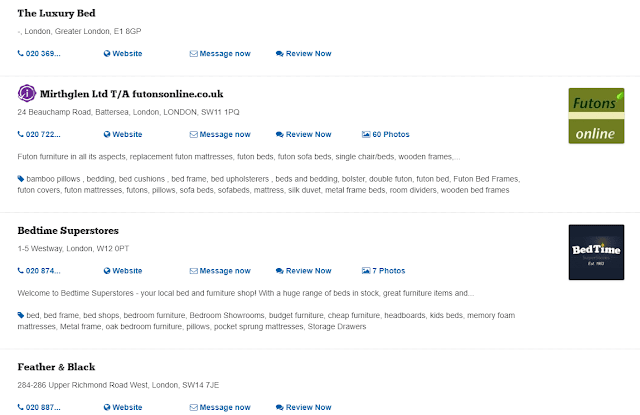 For instance, I found “www(dot)andsotobed(dot)co(dot)uk” on Google. Now, let’s see the websites that have backlinked to this website already. So, have patience. Browse through the list and pick websites that you think can be a part of your experiment. Like this one…. Also, you will find many links to directories, which itself are the treasures to find the relevant websites that you’re looking for. You will find many links inside these directories. Pick the ones that have good DA and are more likely to be a part of Thematic Link Exchange. Once you have a nice list of the websites that you want to target, time to shoot them an email. Explain them in brief and clarity what you’re trying to do here, and how it would be beneficial for them. Always pick relevant websites. If you’re in fitness, don’t contact SaaS. 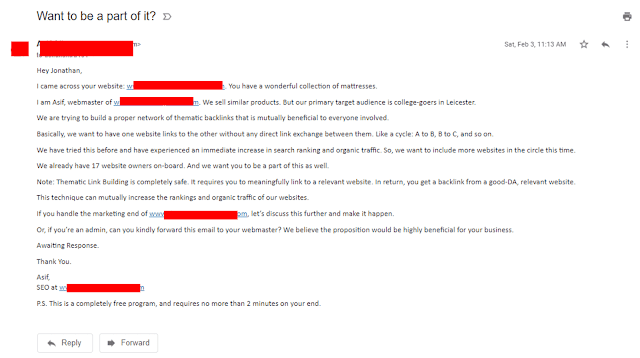 Even if you get the that irrelevant backlink, it won't be rewarding. It may even harm you. As mentioned already, don’t waste your time contacting the “top” and big websites. They already have a good number of backlinks. You want websites that are actively making SEO efforts – just like you – to rank higher on SERP. Don’t shy away from contacting your direct competitors. If they are positioned in the same spot as you, they wouldn’t mind doing something for mutual benefit. In your outreach email, it’s okay if you have to lie a bit. (I mean, it’s not really “okay”. But to convince others, you may have to.) BUT don’t try to cheat them though. Adding that you already have a dozen people on board and that the technique has worked for you before sounds okay-ish. Many people won’t respond. And rightly so! Some may even reply rudely. It’s okay. Don’t pay heed to these. Keep up your outreaching efforts. Once you have people on-board with your thematic link building process, time to get to some action. All the 15 websites that were on-board, they had decent DAs. To that, almost 11 of them had dedicated website blogs – albeit inactive and poor quality ones; this provided ample backlinking opportunities. 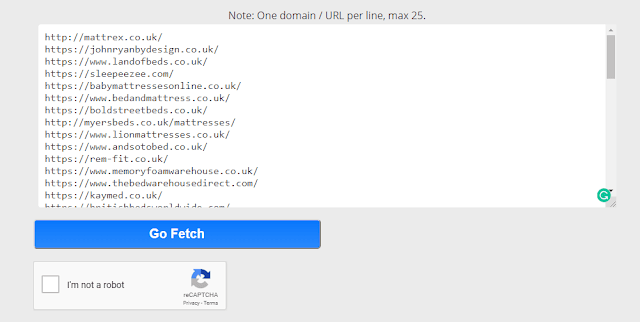 For the rest, I figured, exchanging backlinks from their category pages would be nice. ››› I created a chain/circle as to who will link who. Didn’t give much thought into this really. Virtually everyone traded equally in their organic metrics. So, it won't matter much. ››› I researched their website to find URLs and anchor texts that will be backlinking each other. ››› I avoided direct backlinks to websites’ homepages. The inner pages (about and products) were always the primary targets. ››› I created a chart of when will one website link to the other. 3 days interval seemed okay to allow for the pages to get indexed. ››› I communicated all the details to individual website owners about when should they backlink to a website (the exact date), on which page to link-back, what anchor text to use and when should they expect a backlink from the other website. It is during this period, 2 of them backed out. One never responded, which led me to make some adjustments in our chain/circle. And another one bluntly backed out saying they don’t want it anymore. ››› I kept tab of whether everyone was doing their part of not. I emailed them individually, as a reminder, a day before they were supposed to be backlinking the other website. ››› And IT WAS DONE!!! Finding a list of websites who would be interested in this experiment took me anywhere around 3 hours. It took me another 3-4 hour to do proper website research of the selected parties to identify right opportunities. Like, picking the right URLs, anchor texts; and who will link who. In short, I spent anywhere between 8 and 9 hours in 60 days to complete thematic link building. Not too shabby! BUT should you try it? If you have a high-authority website, you would likely have plenty of ethical backlinking opportunities. So, thematic link building wouldn’t make much of a sense. Similarly, if you’re in a niche where you can easily find relevant guest blogging opportunities on high-quality websites, that should be your go-to and not this one. For me, it was difficult to find quality websites that would accept guest posts centered on mattresses. All there was were poor article submission platforms. And, today, getting free backlinks from such websites do more harm than good. Although I did get two hippy-like posts published on broad-topic magazine-style websites, I highly doubt that would have helped our website get “targeted traffic”. And for the client, the conversion was the biggest priority. Also Read: Should You Accept Guest Posts On Your Blog? The thematic link building is a very ideal choice for new and small business websites, and even new bloggers. Today, getting backlinks is more difficult than ever. And, to that, if you get backlinks from less-relevant, low-quality websites (which was a prevalent practice a few years back), it would raise red flags and do more bad to your website. So, this technique seems quite a good idea. In July and August, I did contact all the 13 website owners to see how things were on their side. One of the best things though was that none of the websites were negatively impacted. And this was/is a big thing. Because earlier, in 2016 and 2017, when I tried direct reciprocal linking on at least 6-7 occasions (with 4-8 other websites), the websites were hit negatively within two months. So, it was a big relief this time that this cycle-like thematic link building didn’t raise any red flags. How to start thematic link building? It does look complex! And honestly, when I was starting, it looked too much work. BUT when I look back and see that I spent less than 10 hours on this in a stretch of two months – and it delivered such a good result – it was worth it. The first step in the process is to identify whether there’s even a need for this or not. As mentioned already, if you have multiple (ethical) backlinking opportunities, you shouldn’t get your feet wet here. Find relevant websites who would partake in this black-hat SEO technique. Have at least 10 websites in the circle. Make sure they are of your own niche, and that they are local to your town, city, state or country. Follow the way I explained above under “Contacting Interested Webmasters”. Be strategic in your outreach effort. Don’t just bluntly demand a backlink. Or don’t reveal your plan in a way that makes it evident as unethical. Tell them how this will help their website and business. Following, assure them that’s very easy and will only take minutes of their time. And, in addition, tell them that you already have a lot of website owners on-board—this will put you in power position as opposed to someone who’s making requests and pleads; this will come to play in your favor. Once you have a list of those who are participating, do a thorough research of their websites to find backlinking opportunities. Map who will backlink who, what pages will be backlinked/backlinking, and what’s the waiting period between one acts. Honestly, don’t think too much into this. Don’t over-plan; you will end up wasting your time. Ask yourself this question “will this make search engines suspicious about the activity”. If it’s a “yes”, do it differently. If it’s a “no”, jump on to the next task. Once you have a proper action plan, email the involved parties the parts that concern them: who will they backlink, when will they do it, which page they would do it on, and when&who will backlink them. Again, since you’re the mastermind behind the whole program, it’s important that you overlook that everyone is sticking to their tasks. So, individually email each participant a day before their “date”, reminding them what needs to be done and how they are supposed to do it. Scheduling these emails would save you a lot of time and hassle. Once everyone has done their respective tasks and the entire cycle is complete, time now to observe the results. Also remember, if you see any negative impact, which is very unlikely if you have done the above parts correctly, unlink the website that you have linked and disavow the backlink you’re getting in this cycle. And, oh, you should also inform others about it. When waiting for the result, you can opt to get more backlinks with this thematic link building technique. Admittedly, if you’re expecting grand results, you need more than one or two backlinks. So, start the whole process again. 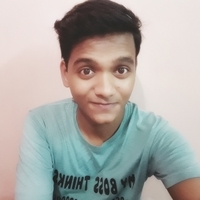 Create a new cycle of different websites. And repeat everything again. Fortunately, the next time, it would be much easier and quicker for you. This is a black-hat SEO technique. It worked for me; might not for you. Search engines, today, are more robust than ever. Unethical backlinking opportunities have been reduced to dust. Not that people don’t do it anymore. Social bookmarking, directory submission, forum submission, and reciprocal link building—these are still very much prevalent. But search engines now know how to effectively deal with them. They are going out of their way to penalize such sites and in return rewards those who do things according to their guidelines. So, you must be careful throughout thematic link building to not rub Google and Bing the wrong way. 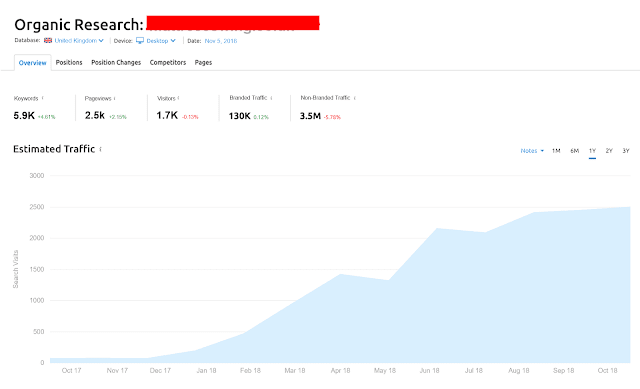 Through the months, I continued publishing 2 high-quality blog posts on the client’s website, which were properly keyword-optimized and had outbound links. To that, I also did some local listing work. Meaning to say, continue with your other on-page and off-page SEO measures. They will all work out well collectively. Always pick websites who are better than yours. Check their DA and Alexa Ranking. In addition, also check the domain’s health using any tool like MX Tool Box. The surer you are about your selection, the better. There are hundreds of thousands of websites out there. Majority of them are looking for backlinks. So, if you don't get a positive response from many, don’t feel down. Continue with your efforts. There are so many fishes in the pond out there. 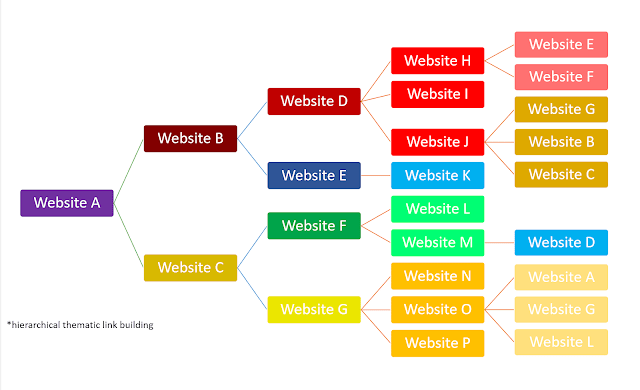 Don’t include too many websites in one circuit. Anywhere between 10 and 15 websites seem fitting to avoid any suspicion. Instead, you should try to create more circuits instead of extending the size of one. So, are you going to do it and try this technique? Comment Below.